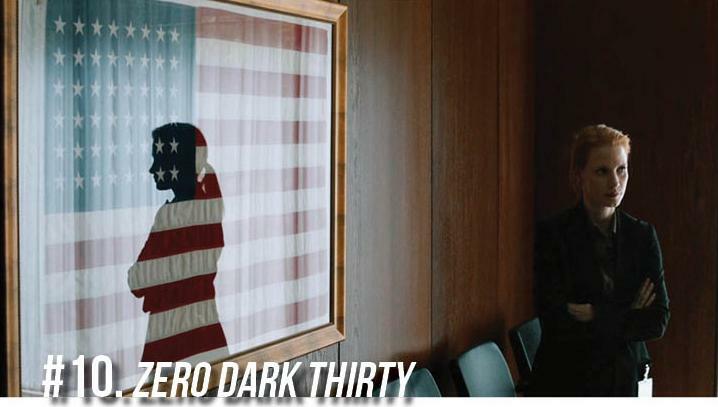 Almost proof that miracles do happen, the fact that a film as politically charged as Kathryn Bigelow’s latest procedural was made with such high-profile names attached and media ire surrounding it. Charting the hunt for Osama Bin Laden, American enemy No. 1, and the one woman determined to find him, it’s as close a study of the fractures, red tape and sheer single-mindedness as we’re probably ever going to get from the movies on events that shaped – and are still shaping – the world. If you happen to think that the ideologies inherent within ZDT are slanted, take another look; the film claims that torture did indeed get them to where they reached – eventually – but never says it was the right way. Its success is in its coolness, its chill of touch, but always fronting a fire that needed to get such occurrences to light. Now that’s what’s right. 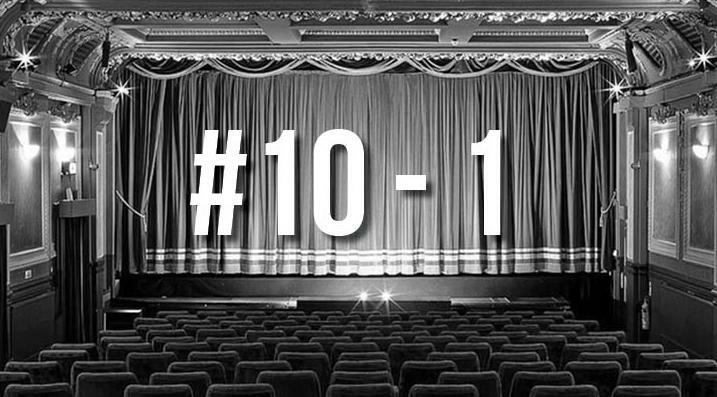 Richard Linklater has another entry in the top twenty? That’s because he lifts the small-town tale of Bernie Tiede from a simple human interest story to a subtle cogitation on the role of perspective in not just movies, but in real life. 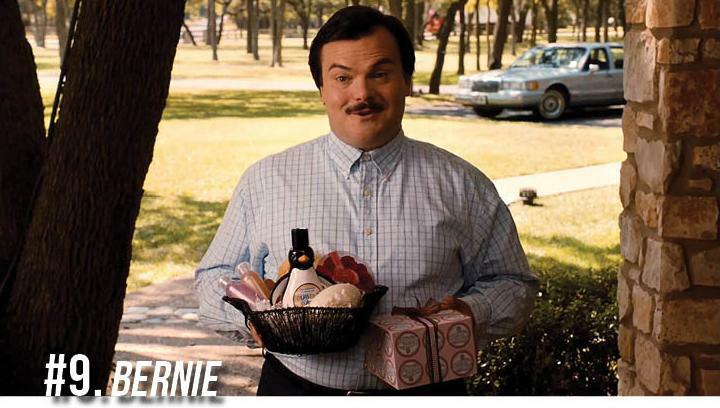 When the film was finally released in the UK, the dramatisation of a mild-mannered, well-meaning mortician shocking his townsfolk with a single, murderous deed surprised moviegoers with the best performance of Jack Black’s career in the title role, and astounding, graceful direction that warped the assuredness of objectivity; by shooting talking head interviews with the real-life townsfolk, and reeling in actors to take some of their places (Matthew McConaughey on typically stellar form), then mixing them on screen together, made Bernie a beautifully disconcerting lesson in truth. Jeff Nichols apparently has a master plan. As is evident from Mud, and his two previous works Take Shelter and Shotgun Stories, he is clearly setting out to create the Great American Movie. It can be argued that he’s already made it; Mud takes an earthy yarn about a kid, Ellis, who is strung into helping a vagabond Mud (McConaughey) reunite with an old love, and spins into something akin to a fairy story. Like its name, Mud goes deeper than its grimy surface; the everyday activities of families and dramatic encounters are all lying above a magic that Nichols sprinkles in each sweet scene, and over each line of dialogue. Its themes go way beyond the dusty shores which Mud is attempting to escape. It’s almost an inverted Stand By Me – except the dead body ain’t dead. While it wasn’t shown in U.S. movie theatres thanks to some fear of homophobia (a classic case of homophobiphobia), British screens were treated with Steven Soderbergh’s consummate biopic of Liberace, one of the world’s greatest entertainers. 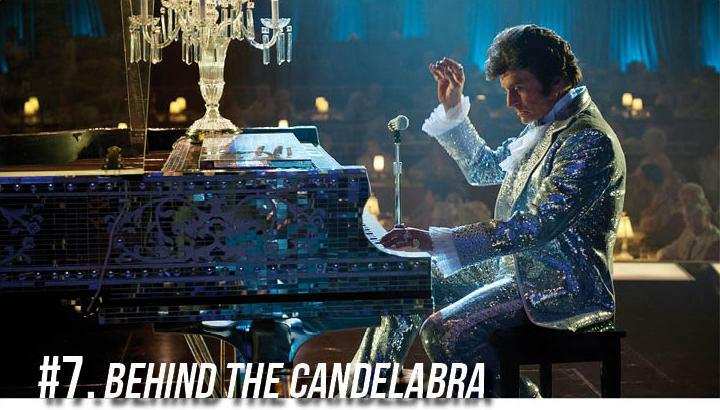 A one-two punch of extraordinary showcases (Matt Damon plays Scott Thorson, Michael Douglas is Liberace) and Soderbergh’s twenty-six film toned direction, Behind the Candelabra fully pierces the veil into a world which is engufled in velvet, excess and bottomless narcissism. Watching the movie is akin to getting merry on champagne, wandering around a huge, luxury-gilded mansion, only to eventually open one of its many ruby-handled doors and fall off a cliff into thin air. But there are no abject lessons in materialism to be found here – Soderbergh is too smart for that. 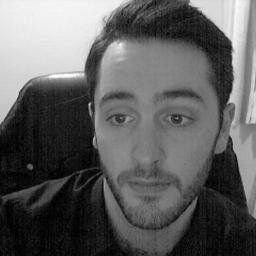 Instead, he paints one of 2013’s greatest love stories with as much delicacy as is deserved of the subject. This is the kind of movie that justifies the Sundance Film Festival’s existence. When a trio of boys decide to leave their insufferable, parent-controlled lives behind and forge a new existence in the forest, it makes for laugh-a-minute, cry-every-ten cinematic gold. In Jordan Vogt-Roberts’ gifted hands, there is a gleeful exuberance penetrating every frame of this youthful and unmatchedly hilarious small-time story; if the screenplay isn’t throwing gag after gag at you as the boys try to be men in their new abode, or the performances from three newcomers aren’t knocking a million fresh shades into what being young and being alive is all about, then the genuine friendships forged – and broken – on screen will glue you to your seat. 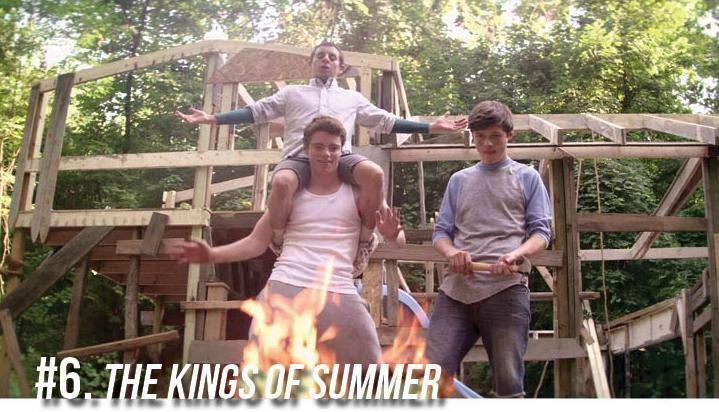 The Kings of Summer was shown in one cinema in London during its release. Right this wrong, and give it the attention it undoubtedly deserves. Sometimes, a documentary transcends its very medium. 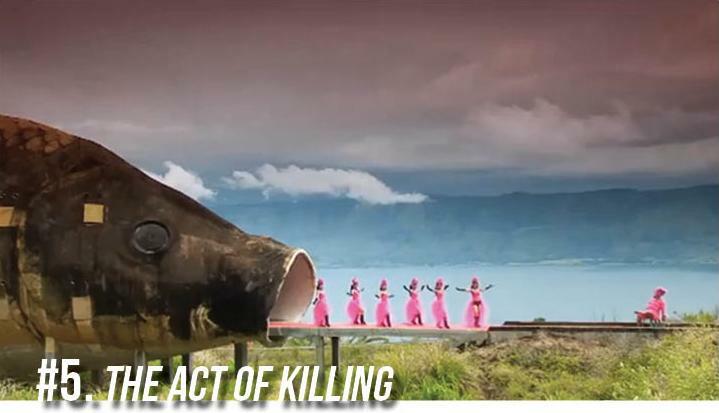 Joshua Oppenheimer’s aim in The Act of Killing is to get the leaders of a former Indonesian death squad to re-enact their atrocities, in any style of their choosing, for the camera. In reinventing their murderous actions, they boast an astonishing level of pride concerning their role within their country’s government. But during their nightmarish, loopy scenes – noir, war epic, or straight-up fantasy – they come face to face with their past and the blood on their hands. This is where the ‘transcendence’ comes in; Oppenheimer almost has no hand in making these dreamscapes come to life. He only skillfully strings them together, while his journalistic rigour, combined with these windows into some fascinating men’s heads, takes The Act of Killing somewhere in the darkness of the human soul we don’t usually talk about. Revelations about the role of TV and cinema in society abound, but it’s these men, that are fearlessly documented without judgement, that will stick with you for a very long time. Multiple story lines – gotcha. Taking place in different times – whoa, sounds ambitious. Actors playing different roles, and different races – wait. What? Despite Cloud Atlas not finding its audience upon cinematic release, the Wachowskis should be admired for the unlikely creation they’ve brought, kicking and screaming, onto our screens. 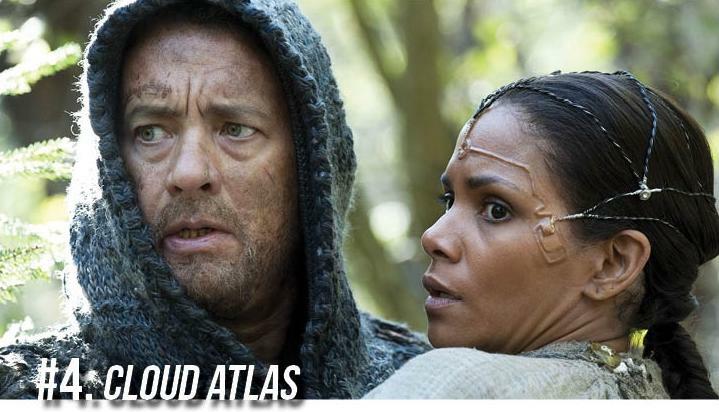 To view Cloud Atlas is to witness the entirety of human history (albeit a fictional one) fly past your face, so fast that the images blur into one. This kind of blurring is the movie’s dogged imperative, and they succeed with fellow director Tom Tykwer’s aplomb for scope, extraordinary editing, and the year’s most brilliant music score. The contrasting tones and familiar faces only added to the sense that you were watching something completely original, a similar feeling when the Wachowski’s first released The Matrix in 1999. Tom Hanks, Halle Berry, Hugh Grant, Ben Wishaw, Jim Broadbent and others are all fantastic in their temporally sporadic roles, and should be commended for seeing the potential in this marvelous project – which is a treatise on storytelling, an ode to universal brotherhood (a cinematic ninth symphony? ), and simply one of the finest, boat-rocking achievements in a long while. Fatherhood. What does it mean? Or rather, does it mean anything? Derek Cianfrance attempts to find out the legacies we leave behind, the footprints in time that ripple out and effect our futures – and in some cases, distorts the perception of our past. 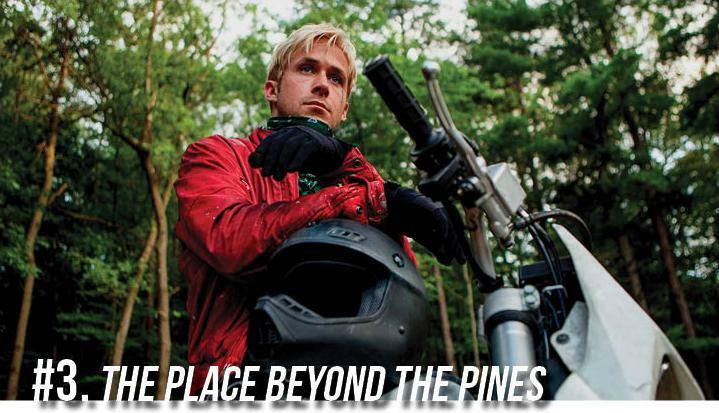 This ambitious three-act masterpiece recalls a motorcycle stunt rider (Ryan Gosling) who discovers he has a one-year old son, and strives to change his life to give his child the love he himself was never privileged to. When one earth-shattering moment happens (and you will not see it coming), the film tips completely on its head both in terms of genre and narrative – but without ever losing its atmospheric, enigmatic tone. With this mammoth twist, the films thematics are split wide open, broadening a story to mean more than just characters who are essentially all passers by in it. It’s a Greek tragedy for the 21st century. What do orchids, pigs, swimming pools, and psychological detachment all have in common? 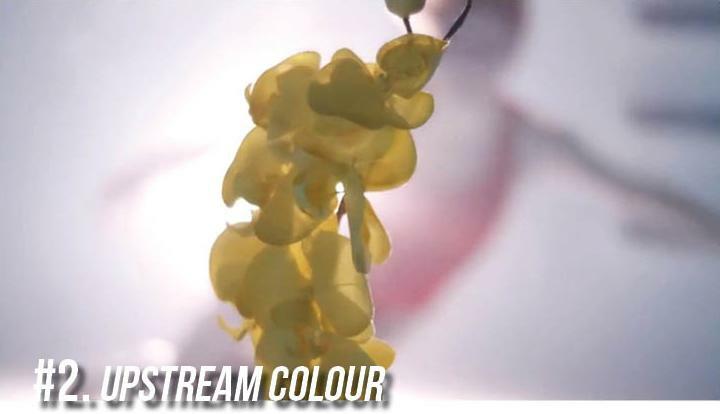 The answer; Upstream Colour. If he wasn’t content enough by confounding cinema goers with his debut Primer, Shane Carruth’s sophomore effort continues to dazzle, confuse, frustrate, and ultimately move us to the point of tears. There’s no point in giving even a brief plot synopsis (even the film’s IMDB page doesn’t really bother with one), but there isn’t really need to know anything upon entering a screening. This is because, contrary to popular belief, Upstream Colour is an emotional journey, not an intellectual one; surrender to its dense Möbius strip plot, and what you may uncover is an unparalleled exploration into the very nature of consciousness. And you know what? Carruth may have damn well cracked it. What is there to say? What can be said about that which, upon witnessing, there are no words for? Gravity is a very good reason to abandon film criticism altogether, for it tosses up the argument that experience is the only way to fully get inside a cinematic work of art. And art of the highest order, this most certainly is; you all know the plot by now, of how Sandra Bullock’s astronaut Ryan Stone finds herself stranded in outer space, spinning in a vacuum above the glory of Earth, experiencing first-hand one of mankind’s greatest fears both physically and philosophically. There’s that word again; experience. That’s what cinema is, at its core, a 30-foot window into another universe, pulling back the curtains on our own too-real world. 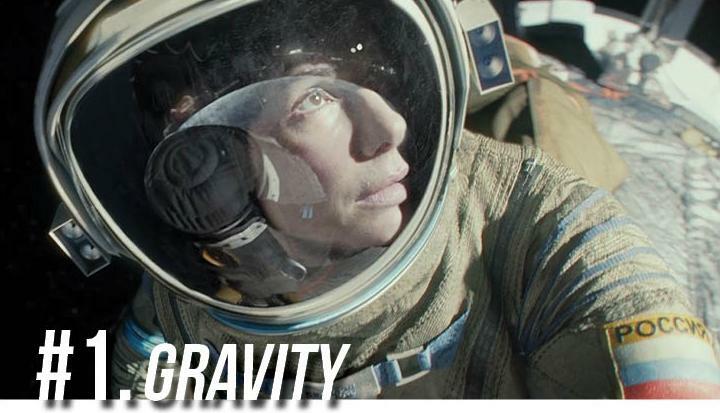 But Gravity becomes real thanks to Sandra Bullock’s stratospheric (ha) performance, and its marriage of simplistic screenplay and game-changing visuals. Watching Gravity for 21st century audiences must share a lot in common when those in 1895, when they witnessed a photoplay of a train coming straight at them – only for it to safely pass them by in a made-up cinematic world. It’s that magic of film, that spark in the brain that celluloid somehow ignites, that makes us believe – and in believing, we care. And In caring, we become better human beings (like the late, great film critic Roger Ebert, who died earlier in 2013, said, ‘Of all the arts, movies are the most powerful aid to empathy, and good ones make us into better people’). And by the end, this movie will certainly make you care. This fawning may come across as pretentious, cheesy even, but I fully believe that Gravity is worth such adoration. Such a re-evaluation of the innate power of the movies is enough to reinvigorate the next generation of filmmakers, but whether any of them create something as good as this is another question. Gravity is, put simply, one of the best films I have ever seen, and will for a long time. So what can be said, really? This, I guess; Alfonso Cuarón, thank you.